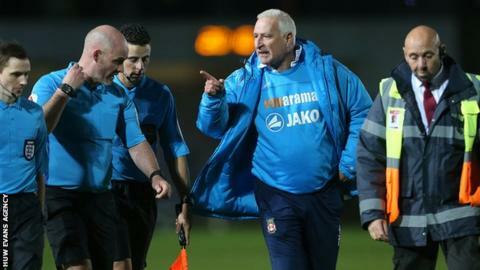 Graham Barrow has resigned as manager of National League side Wrexham. Barrow has been in charge at the Racecourse since Sam Ricketts' departure in December. He leaves the club fifth in the National Leauge, four points from the top with 15 games remaining. In a statement, Wrexham said: "We would like to thank Graham for his efforts and contribution in his time at the club and he leaves with our very best wishes". An announcement about Barrow's replacement is due to be made on Wednesday. Barrow joined Wrexham last summer as part of Ricketts' coaching team and took over on an interim basis when Ricketts left for Shrewsbury Town. He was then made permanent manager, with a deal until the summer of 2021.